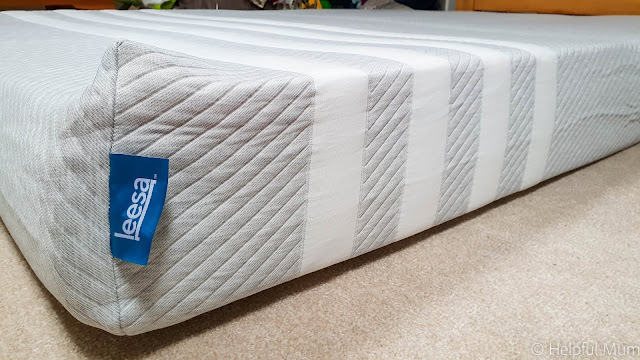 I reviewed a Leesa mattress back in 2015, and at the time I said the only downside was that I hadn't asked for one for my own bed. We ended up moving the Leesa mattress that we had been sent into the B&B side of the house. We were often told by guests that the bed was incredibly comfortable, and we even had some people who stayed promising they were going to go home and buy one! So when Leesa contacted me to ask for an update on the mattress, I couldn't give them a personal point of view, because I only slept on it for a few weeks. I was blown away when they offered to send me another mattress, this time for my bed! 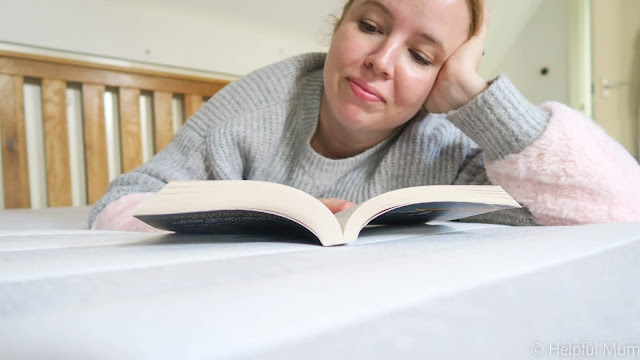 I have struggled with back pain since having my children, and I had become totally accustomed to waking up in pain and aching in the mornings. No amount of exercise or stretching ever seemed to make it feel better and I was pretty resigned to it hurting forever. I was excited to see if the Leesa mattress would make any difference to me. The experience of buying a Leesa mattress is a simple one. It is a simple online purchase and your mattress is built to order and delivered in 5-7 business days. Leesa enable you to buy with the confidence, because if you’re not sleeping better on a Leesa within 100 nights, they donate your mattress to a charitable organisation and provide a full refund. When the mattress first arrived, it was vacuum sealed in a relatively small box. It's not too heavy though and I managed to carry it up the two flights of stairs to our attic. It's simple to remove from the box, but needs some time to expand. Ours had a bit of a chemical smell to it for the first five days or so, but after that the smell disappeared. The mattress is designed to help you sleep better. It has a top layer of Avena foam, which is a responsive material which allows air to flow through the mattress and keep you cool as you sleep. The mattress has three different layers of foam, 5cm of the Avena Foam, 5cm of Memory Foam and then a huge 15cm of Support Foam. The mattress adapt to each individual and provides the best support and comfort. 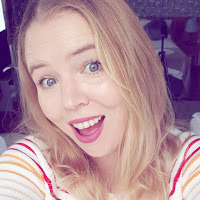 I have found that I do not feel my husband moving as much as I used to with our coil sprung mattress, which is definitely a benefit to the Leesa. I have to admit that I have slept so much better since we got the Leesa mattress. It's been amazing to wake up in the morning and not ache everywhere or be in pain. I feel as though my back is fully supported each night, and there isn't a dent in the bed when I get back into it the next day, like other memory foam mattresses I have slept on. It is not too hard to lie on, but supportive enough that it's not a soft mattress either. My children have declared they don't like the mattress, because it isn't as bouncy as our old one used to be! Not having children bouncing on my bed is definitely a bonus to me. I am really impressed with the mattress and hadn't appreciated just how much difference it could make to my sleep. We have had the mattress for three months now and have not encountered any negatives. If you buy a Leesa mattress, you are supporting the UK too, as it is made entirely in the UK, and manufactured in Derbyshire. I am definitely a convert to a Leesa mattress and I struggle to sleep now when I have to sleep on anything else. It has been incredible for my back, and even my physio noticed the difference in how I was holding myself. If you are looking for a new mattress, then I would definitely recommend you add the Leesa mattress to the top of your list. 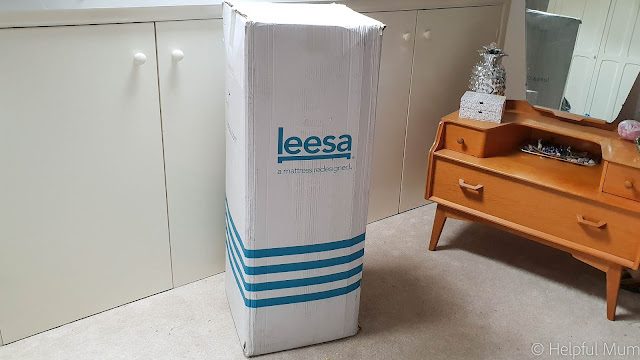 Disclosure: I received the Leesa mattress for the purpose of review. All opinion is my own and is honest and fair.